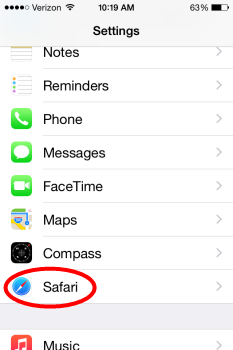 iOS devices use Safari for browsing the internet. Safari has built in security including a Pop Up Blocker. When this feature is enabled, Safari will stop pop ups on your device. Instructions for turning on the Pop Up Blocker are below. 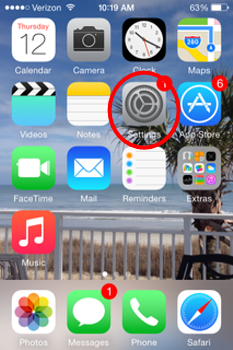 Step 1:Select the Settings icon on your device. Step 3:Scroll down to GENERAL and swipe the button next to Block Pop Ups. The button will turn green once the Pop Up Blocker is enabled.